If you want to know how good this course it, just go around Audible and check out the free samples of other Spanish conversation courses. They all sound so fake and contrived compared to this. That’s because they are and this Conversation Latin Amer Spanish is the best. The voices, the technique, the memory stuff, the words that they add to the conversation practice and the different speeds they use so you can go from slow to fast little by little leaves all the other programs I have tried in this category in the dust. 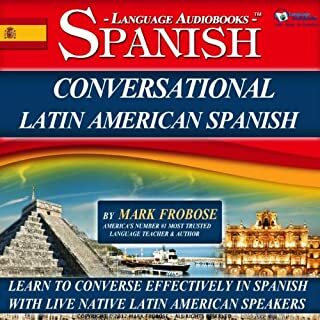 Nobody has a better program for beginning and intermediate Spanish conversation that this one. Just buy it see.